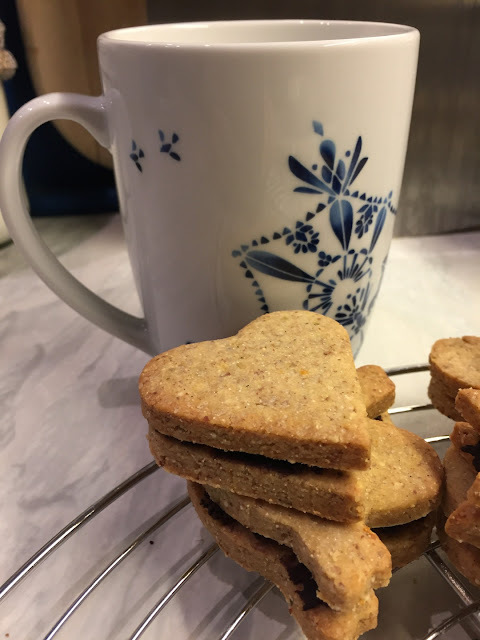 These not so little biscuits are divine! And as the main Carbohydrate source in these are ground chestnuts they can easily be made gluten free by using a gluten free substitute for the small amount of flour that is needed. If you want to learn more about edible Chestnuts click here. 250 grams of roasted and peeled chestnuts. (Click here if you need directions for roasting them) You can also use the boiled and peeled ones that are vacuum sealed from the shop. But I do believe that the roasted ones give it the extra bit of flavour. Grind them as fine as possible in your food processor. Here is an extra tip: Have them solid frozen when processing them. That way they will come out like fine flour! 100 gr of brown raw sugar. Grind it fine in your food processor. No need to take the ground chestnuts out just keep grinding them. Process all until well mixed. If the dough feels cold (because you used frozen chestnuts) you can go straight to the next step. Otherwise cool the dough in a covered bowl in the fridge for 20-30 mins. Don´t let it get too solid though! Now bake them for 20-25 minutes in a preheated oven (150C/300F). They should be a little golden brown around the edges, but will still feel a little soft to the touch. Let the cool for at least 10 mins on the baking sheet before moving them to a cooling grid. Fold 100 grams of cream under the melted chocolate. Spread filling on a biscuit and fit its matching counterpart on top. Voilá you have your sandwiched cookie! I can´t say anything about the shelf life of these guys, as they were gobbled up in less than 24 hours. But I guess they wouldn't hold till christmas as there is cream in the filling! I have never heard of chestnut cookies before. It would be different and unique for a cookie exchange. My wife is always looking for something new and unusual. I need to show this to her. Thanks Roy! These are definitely different to the same old same old. I would love to hear how everybody liked them. I have never participated in a cookie exchange, that does sound fun. 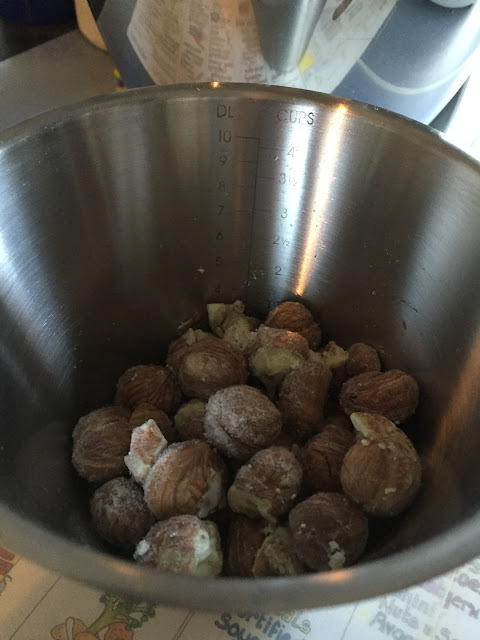 Chestnuts are something I've always wanted to try. In a cookie sounds like a good start! I agree! I think that anything that comes in cookie shape and has some Chocolate involved is a very good start to try new food! 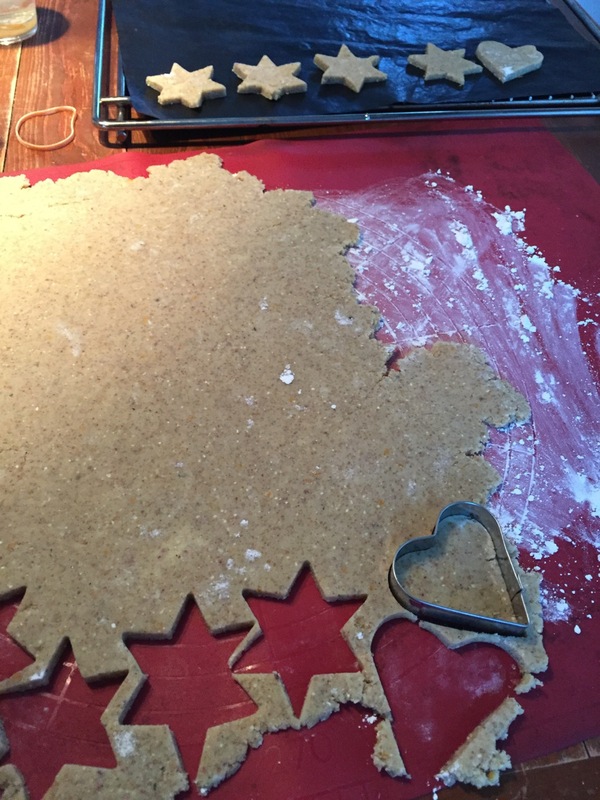 I'm really intrigued by these cookies - they look and sound amazing! I love chestnuts, so I can't wait to give these a go! Thanks Patricia, I hope you´ll enjoy them as much as we did and I would love to hear how you liked them!